Shortness of breath and feelings of slight hysteria. It’s simply nerve wracking to sit idly by, waiting for your luggage to come streaming down the conveyer belt at the airport. Lost luggage can be no less than incredibly frustrating, especially when you’ve been flying for hours and just want to get home already. This inconvenience may be trumped only by having to make do with the bare necessities on what should be an enjoyable vacation. The lack of control in the moment can prove to be no less than infuriating. Fortunately, there are some steps you can take to make sure that you eventually get your luggage back—even if you have to pack your patience in order to do so. 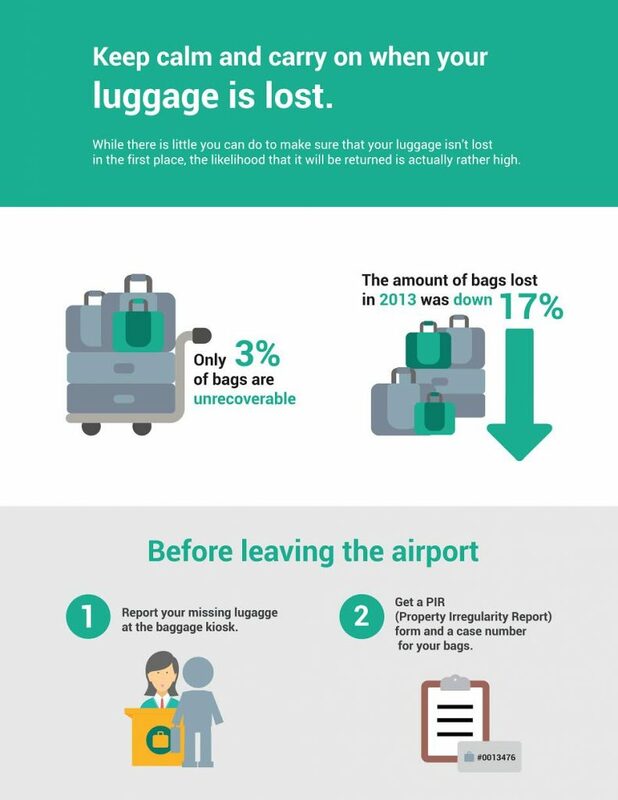 While there is little you can do to make sure that your luggage isn’t lost in the first place, the likelihood that it will be returned is actually rather high–only 3% of bags are unrecoverable. Also, the total amount of bags that were lost in 2013 was down 17%. 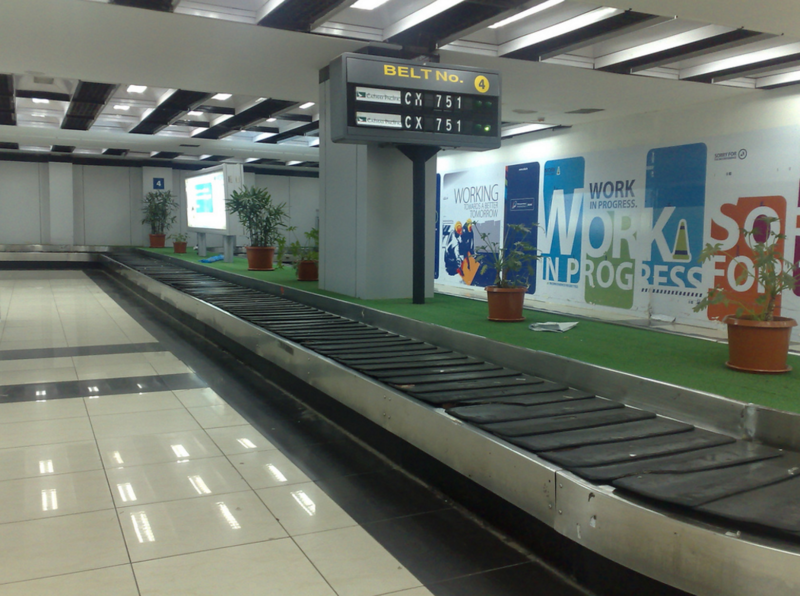 The first thing you will want to do is walk up to an airline representative at the baggage kiosk to report it missing. Make sure to do this before leaving the airport, if possible and be sure to get a PIR (Property Irregularity Report) form and a case number for your bags. Most airlines have advanced tracking systems that allow them to locate the exact location of your luggage and how long it will take to get to you. Before leaving, however, you should ask for a report or tracking code so that you can follow the progress on its way back to you. After 21 days, your luggage is officially considered lost, even if it turns up again later. In reality, only a small percentage of bags are actually considered “lost.” Almost everyone who has lost luggage has often gotten it back a day or two later. However, if your bag is truly off the airline’s radar, then you should file a claim. This requires you to know and identify the maximum value amount allowed by each airline and to include an itemized list of everything that was in your bag. Some allow domestic flight passengers to claim up to $3,500 in the United States, while others might offer less. Remember to do this before you make your claim. Knowing how much you are entitled to receive can help you negotiate if the airline is unwilling to make an upfront payment. At the very least, be sure to hold onto any receipts for any essential items that you had to replace (like toiletries) due to your missing bags. International flights tend to be a bit trickier. According to the Montreal Convention, international travelers who have lost their baggage are only entitled to 1,131 Special Drawing Rights (or approximately $1,600 United States dollars). You don’t know what you don’t know, as the saying goes. Therefore, asking as many questions as possible may be one of the best ways to get your luggage back and to receive some sort of reimbursement for it. You should start by asking about getting the original cost of checking your bag back—part of that cost is making sure that your luggage arrives when it’s supposed to. You should also ask whether your luggage will be delivered to your home or hotel once it is located, as some airlines don’t offer delivery services and will require you to return to the airport to retrieve it. Don’t be afraid to demand some favors, especially if what you were carrying was valuable. Not all hope is lost when you lose your baggage. Remember to be patient if you can, since it can take a while to have everything returned or for your claim to be filed. When airlines mess things up, you’ll want to consider looking into your rights so you know what is owed to you.